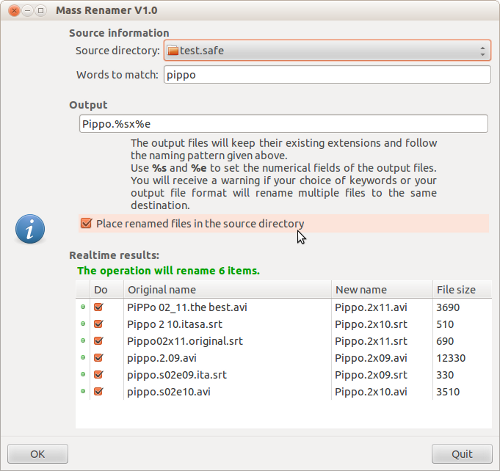 Mass Renamer is a GUI application written using GTK. The app let you choose a radix and a naming scheme and offers a realtime preview of the operation. You can have one or two indexes as the screenshot show. There is also a command line version of it in the distribution, mr. I will make sources easily accessible to not ubuntu users soon!